Why it matters: Lowering costs is a key metric of any successful business. For Uber and its micromobility division, reducing the human workforce through autonomy will play a big part in reaching that goal. Uber is hiring for a new division tasked with developing autonomous drive technology for scooters and bikes. The idea is to have a fleet of personal mobility vehicles that can drive themselves around cities to reach charging spots or locations where customer demand is high. Imagine yielding at a crosswalk to a scooter zipping along without a rider. What a strange time we live in. As odd of a visual as it is, autonomy makes a lot of sense. Some rideshare operators hire third-party contractors to collect depleted bikes and scooters at night, recharge them and redistribute them around a city. Others have full-time employees to perform the tasks. Either way, it’s a significant financial strain. Eliminating or greatly reducing the human workforce needed to support these operations could go a long way in increasing the division’s profits. Chris Anderson, CEO of 3D Robotics, said the new team will live in Uber’s Jump Rides Group and that Uber’s Advanced Technologies Group will continue to focus on self-driving cars. 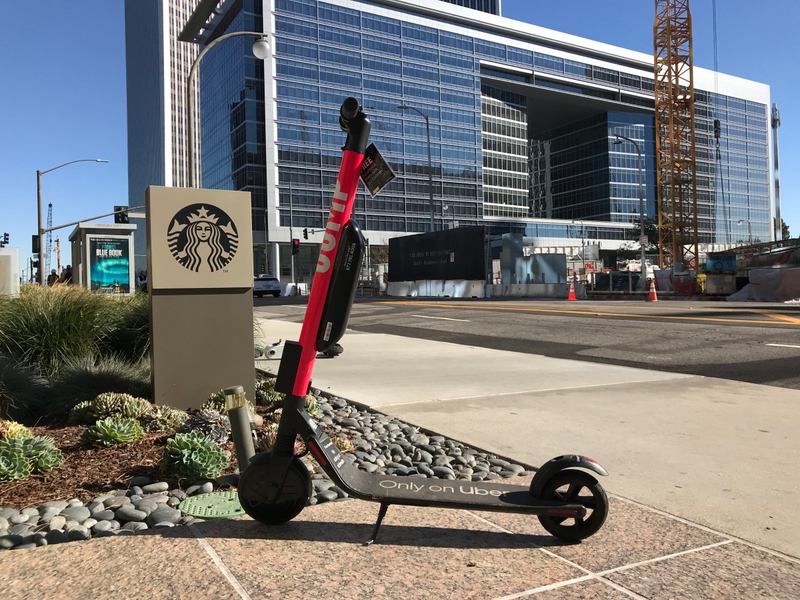 Bike and scooter-sharing services are increasingly popular, especially in dense urban areas where vehicle ownership isn’t as common and parking spaces are scarce.